The following is a continuation of my review of Beth Moore’s September 13, 2014 Living Proof Live Simulcast streamed from Fort Wayne, Indiana. You may read Part One here and Part Two here. I recommend reading them in order. 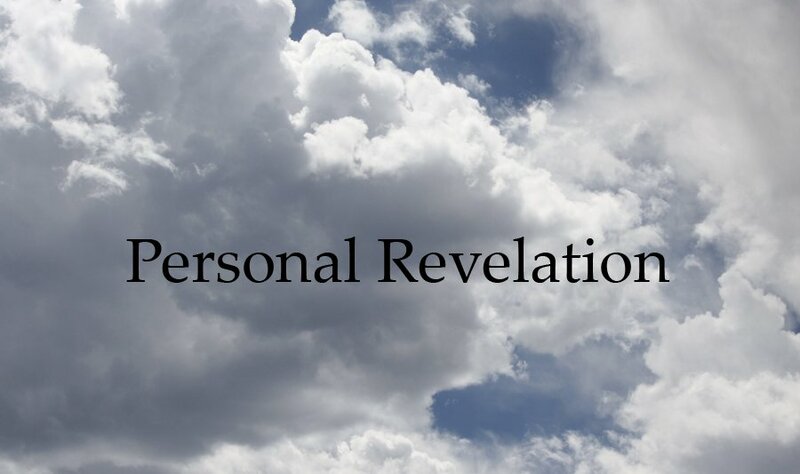 Part Three takes a look at the topic of personal revelation. It is the final post in this series. It will review some revelations that were shared during the simulcast as well as references to receiving “a word” from God. It is not surprising that these things would come up during the simulcast. Beth Moore has repeatedly claimed to receive personal revelations over the years. This has been addressed and documented by various people and ministries. Here are a few examples. 1) In her book The Beloved Disciple, Mrs. Moore wrote about taking time to rest in our busy lives. She wrote, “Recently God spoke to me about capturing what He and I are calling ‘Sabbath moments.’” She continued by saying that God spoke to her heart and said, “My child, in between more intense rests, I want to teach you to take Sabbath moments.” (Page 220) You may read more about this directly from her book here. 2) On another occasion, Mrs. Moore shared a revelation in which God told her “My Bride is paralyzed by unbelief.” Mrs. Moore said God told her to write it down and say it as often as he gives her utterance. You may see the video of this here. Unfortunately the video does not continue past a certain point so I cannot judge the application, but it is an incredible statement all the same even if I am not sure what she meant by it. Was the church really paralyzed by unbelief? Christians struggle with faith sometimes, but paralyzed? and the whole church? 3) In a blog post at the beginning of 2014 Mrs. Moore wrote about a word that she got from God and a warning that she received in a dream. The word was “Stop sowing over and over in the exact same field.” Apparently the Lord meant to direct her into a new field of ministry. The warning was that God would take her voice if she did not obey. You can read the blog post here. Claims of receiving personal revelations from God are a big deal. These older claims and the ones that I observed during the simulcast should be evaluated carefully. Since I am writing about the simulcast, I will focus on the ones that occurred then; but I did think it important to share these others. I share them to illustrate that this is a repetitive pattern and to give you more examples to assess. 1) The first revelation was a revelation about revelation. Yup. We were told through Mrs. Moore that God wants us to respond to the revelations that he gives us. Let me explain. 5) The first point of seven that were shared during the simulcast was “We are one gathering of many women yearning for God to speak.” God speaking appeared to be referring to receiving a personal revelation or “a word”. 7) She said she is asking God for “a word for every single woman” and “a wonder for every single woman”. 8) She twice asked if anyone got a word from what was being said. The topic of personal revelation is a big one. There is disagreement over whether or not Christians today legitimately receive revelations and words from God. For many who say no, Mrs. Moore’s claims immediately put her into the category of a false prophet. My position is that I am always cautious when I hear such claims. I believe there is good reason to be so, and I would like to share my reasons here as well as some of my thoughts about what was said during the simulcast. We are deeply blessed to have the scriptures. Unlike in the days of the early church, we have the full council of scripture at our disposal. The Bible and the work of the Holy Spirit is how God speaks to us. We can hear from God every day in real and precious ways. As we “hear” from God though his word, we can grow in our understanding of his special revelation and will. But this type of hearing from God is not the same as the “God told me … ” that seems to pop up out of nowhere apart from the Bible. No, it is in conjunction with the inspired and authoritative word of God. 2) I am cautious of any claims of revelation and words from God because such claims set up an authority outside of the scriptures. When someone says they have heard from God, that automatically gives them and what they have said some degree of authority because they are claiming to speak words given by God. There is real danger in this because of the possibility of fraud, error, and self-delusion. Every single revelation and word should be tested against the only authority we can always trust, the Bible. It is important to check to see if the revelations and words contradict the Bible and if they point towards God and the Bible or elsewhere. Let’s test the two claims of revelations that Mrs. Moore shared during the simulcast. revelation one) She told us that in reference to all the personal revelations God gives us, and in all the reveling that we seek, God is saying: “I am revealing myself plenty to you. I want you to respond.” We were asked: What are we going to do with the “word” we receive during the simulcast? A) This isn’t a prophetic word, so we can’t test it that way. B) Notice that it is not the Bible that Mrs. Moore says God wants us to respond to. It is personal revelations that are at best subjective and at worst unbiblical. That does not sound like a message from God to me. 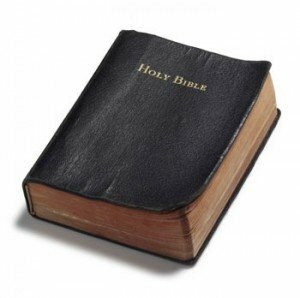 God wants us to respond to what is written in the Bible, what we KNOW to be his word and will. Encouragement to do so would seem legitimate. Absence of any mention of it seems illegitimate. C) This revelation directing us “to respond” was supported by a verse that was taken out of context. Please see Beth Moore Simulcast Review Part Two: Bible Interpretation Issues for a look at how Acts 16:14 was handled during this part of the simulcast. A revelation that comes along with a mishandled verse does not have a lot of credibility. A) This is a prophetic word, but I can’t test it as such because I cannot follow up with anyone from the simulcast. B) There really isn’t necessarily any Biblical contradiction in this word. It is believable that God wants us to be free from panic. The Bible encourages us in many places to trust the Lord. However, we can’t biblically test if it is God’s will to set people free on that day. This revelation shows why this type of thing is potentially dangerous. The one who claims to have received a word could say anything, and there may be no definitive way to test it. 3) Another reason why I am very cautious about claims of revelation and words from God is because they rely on the interpretation of the human person sharing them and are therefore subjective. There is the possibility of error or self-delusion even when intentions are good. One may misinterpret their own feeling or thoughts as a revelation or word from God. Our hearts are deceitful (Jeremiah 17:9) and must always be tested. 4) There have been lots of false prophets and false teachers who have claimed to have received revelations and words from God. They seek to bring new light to the masses. I know that is not a rock solid argument against it, but it does make me very cautious. There will always be frauds out there, and we need to be diligent and test everything we hear. 5) Certain groups with faulty doctrine lean more heavily on personal revelations and words from God. 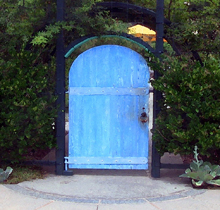 For example, personal revelation is pursued in The Church of Jesus Christ of Latter-Day Saints[¹], and claimed revelation is common amongst the proponents of the Word of Faith Movement. Yet, I have not seen it in churches/individuals that are more biblically solid. Since the practice of receiving a revelation or word from God exists within groups with faulty doctrine, the practice itself becomes questionable. Doctrine and fruit matter. I will not accept claims of revelations and words from God from those who fail in these areas. As for Mrs. Moore, there are things about her teachings that concern me which I have written about before. These render her revelations highly suspect. 6) People who claim to have received a revelation or word from God could say many things that cannot be tested. If we cannot test something by God’s special revelation, the Bible, then I believe it should be set aside. It has no authority and no credibility. For these reasons and more, I remain skeptical of any claims about receiving revelations and words from God. Leaving this for now, there are a few more comments I would like to make about what I observed during the simulcast. By way of reminder, Mrs. Moore’s first point out of seven that was shared during the simulcast was: “We are a gathering of many women yearning for God to speak.” The speaking appeared to be referring to revelation and receiving a word. When I first heard her say this I wondered why she thinks we are yearning. It confused me. Yearning is such a strong word, a word one might use if they had no revelation from God at all. But we do! God has spoken volumes to us in his word, the Bible. It is more than we could ever truly understand in our lifetimes and is an abundant treasure. Whether or not it was intended, this point made it seem like the Bible was not enough because supposedly we are yearning for God to speak through personal revelation. This saddens me and concerns me because of the lack of focus on the Bible. As addressed earlier, this was not the only time there as a lack of focus on the Bible. I am referring to the moment when Mrs. Moore said that we go to God and say: “Reveal yourself, reveal yourself, reveal yourself” and “I wanna receive, I wanna receive, I wanna receive.” This picture of Christianity is foreign to me. I don’t fit into the “we” that she spoke of. I am guessing many other Christians don’t either. I do not cry out to God to revel himself. I don’t have to. I have the Bible. I wish the focus had been on the Bible and not on responding to personal revelations. I know I have said this before, but I believe it is worth repeating. What is the priority here? There is one last thing I would like to point out about this topic. Throughout the simulcast there was no teaching about how to judge any received revelation or word. Are we not to judge them? How do we know what is and what is not actually from God? Well, I would test it all by the scriptures, but that was not taught. At one point, you might remember I mentioned that we were told to copy off our sister’s paper if she had gotten a word from God so that we don’t miss out on anything. I understand that Mrs. Moore wanted us to get the most out of the day, but this suggestion didn’t sit well with me. Our sister could write anything down, anything. Just because she says she got a word from God, we are to take it for ourselves? This practice removes all caution and testing from something that is extremely important. We must have discernment. I found the lack of any teaching about discernment to be negligent. This concludes my review about personal revelation and about the simulcast in general. It took a while to do and was a lot of work, but I feel it was worth it. I cannot tire when testing my teachers, and I will not stop short of sharing what I learn if there is a way I can do it and if it is important enough to do so. I pray these posts help to shed light on some things that need to be weighed when considering Beth Moore as a teacher. As stated in the very beginning, I do not believe she is a trustworthy teacher. I think she can be if she corrects some errors that have been noted and avoids falling into new ones. There is real concern about where she is headed due to her new association with Joyce Meyer. You can watch them speak about unity here on Mrs. Meyer’s website. (Update: The video has apparently expired. I found it on YouTube here.) They begin to talk about unity in the body of Christ at 13:22. If you are unsure why this association is troubling, you may benefit by doing a background check on Mrs. Meyer. This article about Mrs. Meyer by Let Us Reason Ministries would be a good place to start. Part of what I do here at Chapter 3 Ministries is to encourage women to grow in their discernment. We have been applying that discipline to Mrs. Moore. Since she is seeking unity with Mrs. Meyer, I fear Mrs. Moore’s discernment leaves much to be desired. I hope and pray that changes. I am praying that she moves in a good direction. I pray that for Mrs. Meyer too. I am also praying that my readers, especially those who use Mrs. Moore’s material will pray about the issues raised by these posts. I also pray that the leadership in churches that use her material use discernment and make choices that honor God and protect their flock. If you haven’t already, please subscribe to my blog to receive notification by e-mail of future posts. You may also follow Chapter 3 Ministries on Facebook. Sharon…this is just so enlightening. I am hoping MANY people see this post, and take it to heart. Your words ring truth!!! Thank you for this clear, thoughtful response to Mrs. Moore’s recent teachings. I agree that coveting emotional revelations and straying away from the Bible is dangerous. I appreciate your careful testing and your sound findings. Hi He is amazing, like you, I think it would be great if everyone watched the video in its entirety. There’s much to gain from doing so because it reveals areas of concern. To me the most critical part is in the second half. The way that the ladies discuss unity in the body, God’s will about unity, disagreement between various groups, and unity between them along with the way they define love would make good material for a class on discernment. It is my prayer that my readers’ discernment be grounded in the Bible and the guidance of the Holy Spirit together with what can be known about these ladies and their teachings.